Boasting a stellar sense of industrial chic style, the Timarron is a contemporary showstopper. From chandeliers to pendants, sconces, and beyond, find a fixture for any room in your home. 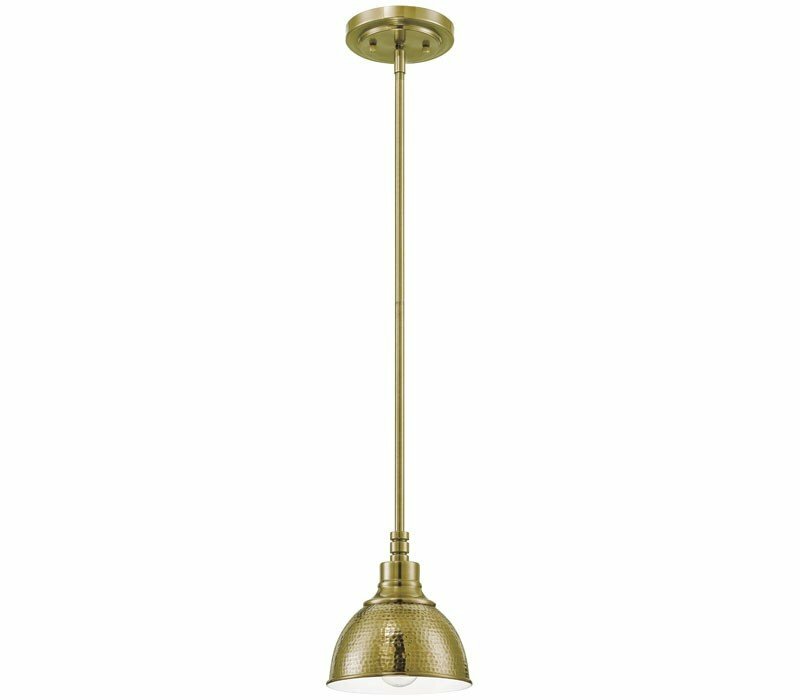 With Legacy Brass hammered metal shades and visually strong lines, the design on this mini pendant is light years away from the rest. 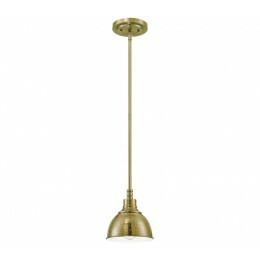 The Craftmade 35991-LB Timarron collection Pendant Lighting in Legacy Brass uses Incandescent light output and brings Antique style. This item is 52.5"H x 7"W. The total wattage is 72 and the voltage is 120 volts. The Craftmade 35991-LB requires 1 bulb (not included). Additional Information: Shade-Hammered Metal Shade.